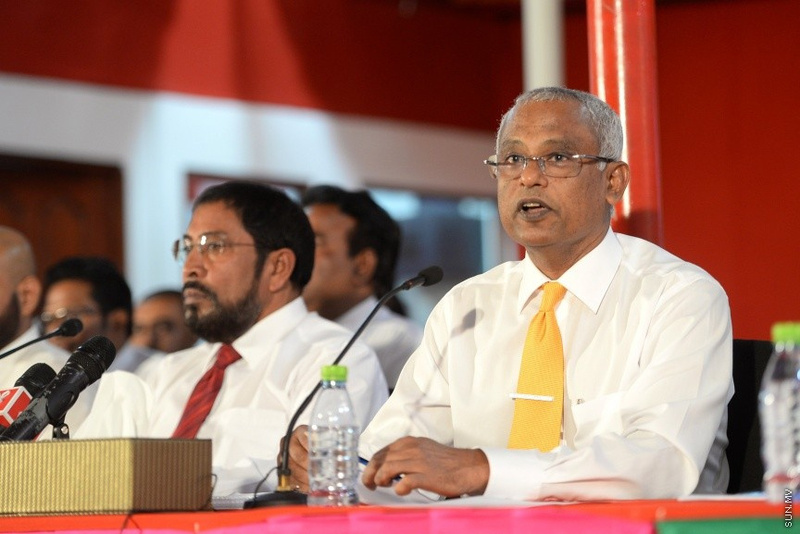 Opposition, Maldivian Democratic Party (MDP)’s parliamentary group leader, Hinnavaru MP Ibrahim Mohamed Solih (Ibu) has been arrested by the Maldives Police Service. Ibu was arrested from the opposition coalition’s protest in Male’ City last Friday night. MDP announced via its official Twitter account that Ibu was arrested and transferred to Dhoonidhoo Custodial. Ibu was arrested from near the Republic Square. Maldives Police Service said it arrested 141 people from the protest on Friday; 139 of whom - 113 men and 26 women - remain in police custody.